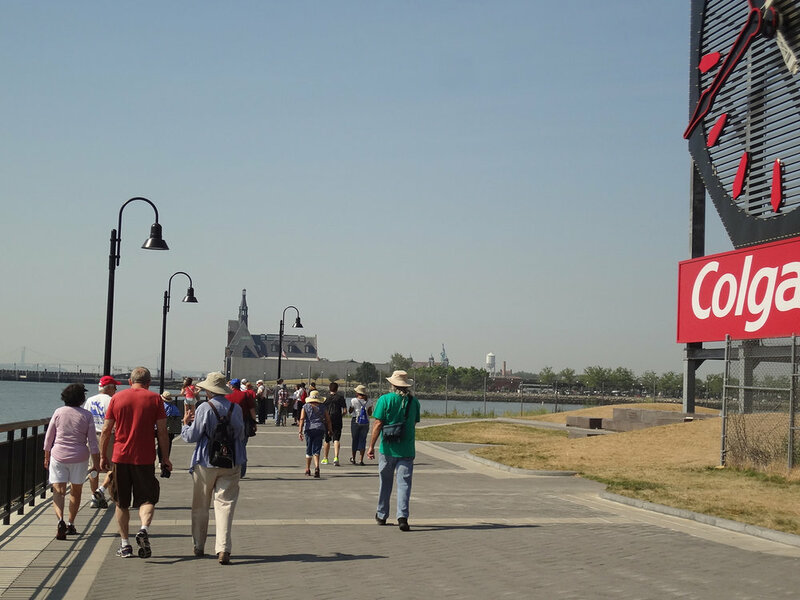 The Hudson Waterfront Walkway is a 30-foot wide pathway constructed at the edge of the Hudson River extending over 18 linear miles from Bayonne to the George Washington Bridge. It was adopted into New Jersey Administrative law in 1988. It requires the construction and maintenance of the Walkway by the owner of the waterfront land. It also requires free, unobstructed access to the Walkway 24 hours a day. An easement conveys the conservation restriction to the NJ Department of Environmental Protection which is responsible for the enforcement of the regulation.